When the temperature drops it’s a good idea to bring out the big guns when it comes to skincare – and if you’ve got eczema-prone skin like mine, even boost yourself up with some supplements that can keep your largest organ looking and feeling as hydrated as possible. As well as your face it’s a good idea to hydrate the skin on your bod, which can all too easily get hidden under multiple layers and forgotten about until the spring lambs make their appearance. A wonderfully nourishing body butter is a luxury your skin will thank you for as the skin on your body can be just as quick as the skin on your face in showing signs of dryness and damage. 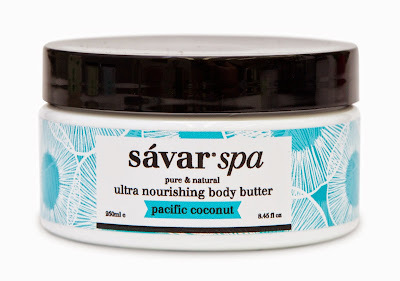 One of the latest I have been loving is Savar Spa’s premium Ultra Nourishing Body Butter – an asboute treat for the skin AND the senses. Made in New Zealand and available in two delicious fragrances - ginger & lime and pacific coconut – it’s a luxurious moisturising spa treatment that is crafted using premium New Zealand avocado oil and New Zealand Blackcurrant seed oil, two of nature’s superfoods. Also guaranteed to banish dry skin on knees and elbows, and cracked heels, it is a new jewel in the crown for the premium 99 per cent natural skincare range with an ingredient list that encompasses an entire plant catalogue. New Zealand blackcurrant seed oil, organic bilberry, marshmallow extract, organic fig, lime flower, lemon balm and organic goji berries are just some of the skin benefiting goodies included in Savar’s modern, effective products. 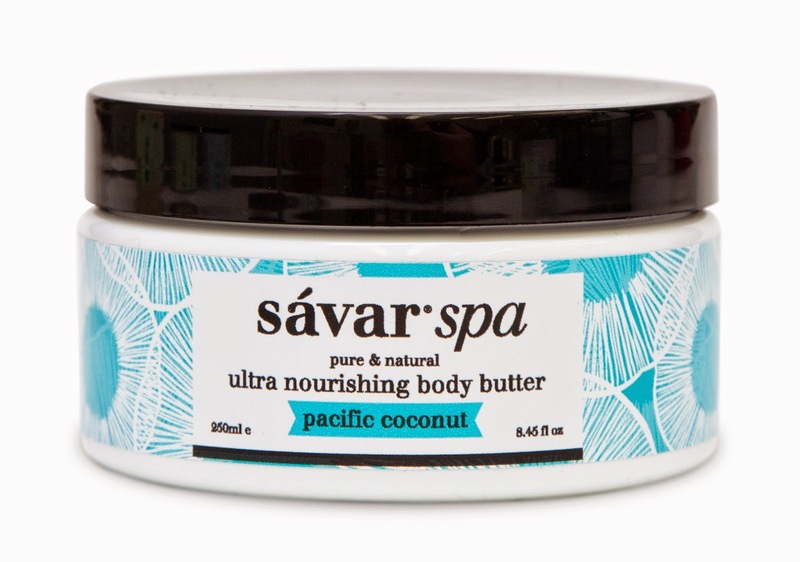 The Savar Spa Ultra Nourishing Body Butter is available right now for $45.00 from www.savaronline.com and selected leading retailers.